I've decided that I need to start making use of my "pinning time". 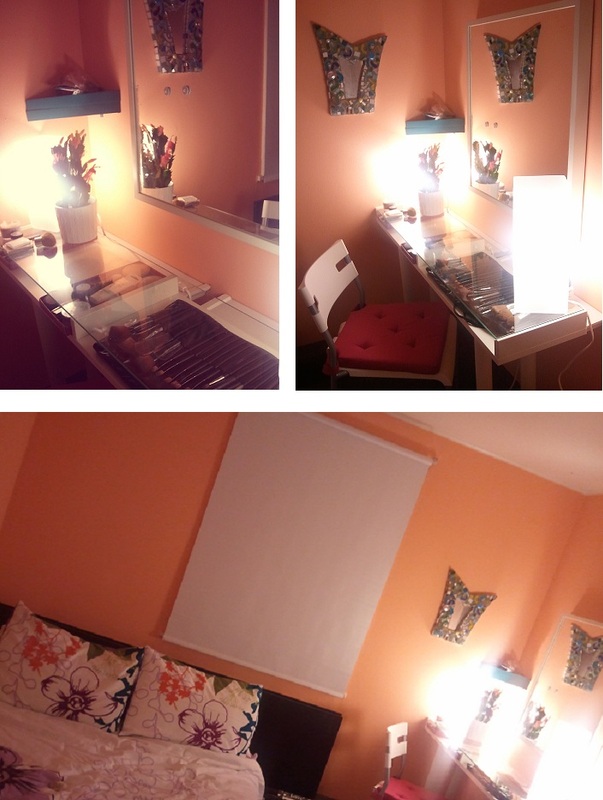 Recently I created a vanity from mainly Ikea products after being inspired by another pinner! :) Here's my creation in full force & a little bit of direction/tips! From now on when I create pinterest inspired projects I will take "during photos as well! To create your own vanity simply screw the 4 legs into the Ekby Shelf, obviously make sure you screw them into a place where the weight of the shelf is evenly distributed so that the table can stand. Place lamps, chair, and mirror to your liking... and ta-da! You have a gorgeous vanity ready to use! It's that simple! The screws that come with the VIKA CURRY legs are too long to be screwed into the shelf, they WILL poke through! I suggest hitting the hardware store (or the junk drawer- in my case) for a smaller size screw! CHECK THE AS-IS IKEA SECTION! I can not stress how important it is to bargain shop! haha. I saved $20 easily by forcing hubby to browse it with me. I used little shelves behind the Vanity (from Target) to give me extra storage for hair products and taller items that couldn't fit under the glass part of the shelf. I'm still missing this step but buy bead containers from a craft store to store make up and other trinkets. Maybe someday we will have an Ikea here. I have been in one and loved it. 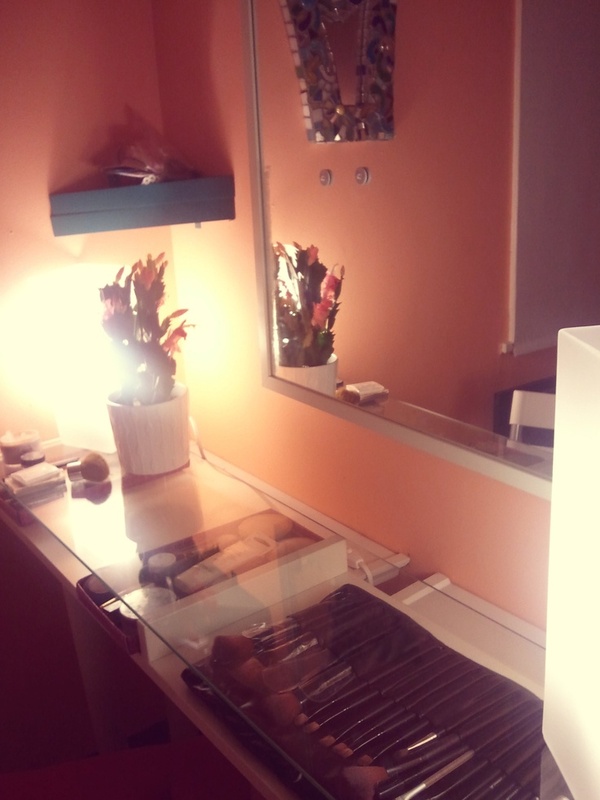 Your vanity turned out beautiful and it is plenty roomy too! Very creative. Are those all your makeup brushes?? Wow, impressed. I've only got two. Thanks for sharing! That's so neat! I have only been to Ikea once and I didn't even know what to do with myself.